At first glance, one might say that mobile live streaming has already exploded into the mainstream and is taking the world by storm! This is true to an extent, however, current exposure to live video is really just the tip of the iceberg. The possibilities for this technology are endless, along with the practical and financial benefits that it presents. Right now we are only utilizing it for a mere fraction of what is it capable of. Since its launch, countries across Asia have really embraced the concept of live streaming, and as such, have manipulated it to form innovative and profitable business models. Capturing, sharing and watching live video has become a way of life for many people throughout Asia. Recent studies show that one in four young social network users in Japan ‘go live’ on a regular basis. As a result, live streaming platforms are extremely popular and widely used. Impressive as they are, these figures are nothing compared to the usage from neighboring China. This is interesting in regards to what live video technology can bring to the table from a social aspect, but what other ways are companies and individuals in China making money from live streaming? In an interview with CNBC Asia, a 19-year-old university student and part-time live streamer, Ding Gaoxing, says that broadcasting around 60 hours a month, earns him about 10,000 yuan ($1,450) through cashing out virtual gifts that his fans send him. Ding enjoys playing video games and just by live-streaming his game time, he makes more than the average salary of a Chinese university graduate. China actually had a late introduction to live streaming, but consumers were quick to adopt the technology as soon as platforms became widely available. Marketers are now maximizing this opportunity. In a study conducted by AdMaster in December 2016 reveals that 37% of marketers and media agencies in China intend to invest in a variety of live streaming platforms this year as part of their content marketing strategy. Live video is an extremely virile and fast-growing market. The number of live streaming viewers in China has reached an estimated 344 million, amounting to 47.1% of all internet users in the country. 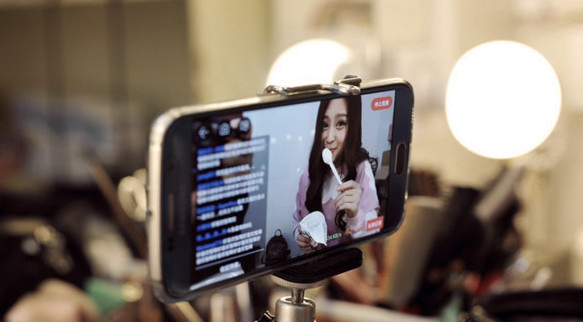 Live streaming barely existed in China three years ago, yet last year it produced revenues of more than 30 billion yuan ($4.3 billion) and it’s estimated to more than triple that figure by 2020. The popularity and rapid growth of live streaming in China has enticed a rush of investment from all of the major players in China’s tech industry. Their vision is for live streaming to enhance existing services in e-commerce, social networking and gaming. Aside from the online entertainment and social elements of live streaming, it is also contributing to China’s booming e-commerce sector, with companies, stores and brands now trying to jump on the bandwagon and reap the rewards. According to Taobao, one of China’s largest online shopping sites, the conversion rate of the content that they live-stream is 32 percent. This is huge when you equate that to 320,000 items that will be added to buyer’s shopping carts per one million views. Chinese live streaming revenues reached 1.7 billion yuan ($246 million) between June and August 2016 according to China Tech Insights, and it is projected that the Chinese personal live streaming market will be $5 billion next year… How long before the rest of the world follows suit and adopts China’s live streaming ways of life?